Looks like we know why Verizon is EOL'ing (end of life) the BlackBerry Storm2 - a new Storm is a comin'. BBLeaks.com managed to snap a few pictures of the unreleased Storm2 refresh. The new Storm, we're still not sure if it will be called Storm2.5, Storm3, or something else, bumps up the specs of the current model Storm allowing it to run RIM's new BlackBerry 6 operating system. With just 256MB of storage space on the Storm2, there just isn't enough space to squeeze in BlackBerry OS 6 and still have a well performing phone. "As noted, the overall look of the device is just that of a BlackBerry Storm2. No physical design changes will be found here and it's certainly not thinner in any way. All changes come internally with the memory upgrade and processor being the most significant. Between the minimal RAM and the slower processor of the original, this refresh was needed in order for the Storm2 form factor and SurePress to remain alive." 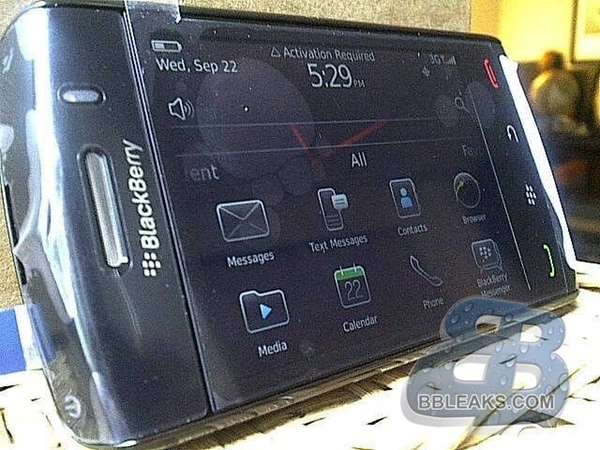 There are more photos of the BlackBerry Storm 9570 on BBLeaks.com.